Unathletic children tend to be targets for bullies. BJJ has been proven as one of the best self-defense styles since it relies more on technique and leverage over size and strength. Traditional karate styles like Tae Kwon Do have been marketed as children’s self-defense, but the striking does require speed, coordination, and athleticism, which may make karate less effective for unathletic practitioners. In Jiu Jitsu, clinching, securing top position, and being able to escape a pinned down position relies more on coaching and drilling than athletic skills. Jiu Jitsu classes are great workouts for children. There are warm ups, drilling, rolling/sparring, and games being played during classes. The children will definitely break a sweat and will be moving their bodies for an hour each class. In many youth sports, the coaches are volunteers and usually consist of the parents of the best athletes on the team. The quality of the coaching can vary and the focus of the coaching leans towards developing the athletes with the most potential. This continues into high school varsity sports, where the coaches’ attention is focused on the starters and winning games. The backups and practice players usually do not get much attention or development time. 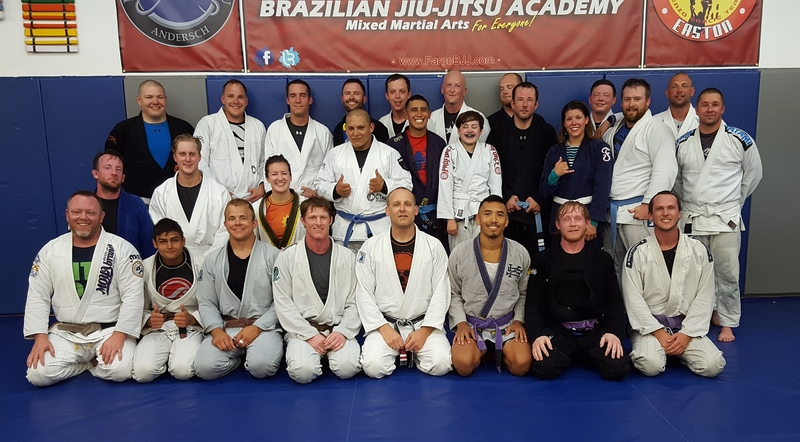 In BJJ, the parents are paying for the coaching and the coaches have an incentive to provide strong coaching and creating a fun and safe atmosphere in order to maintain the parents’ business. In BJJ, there is no pressure to learn a set of plays in time for Saturday’s game like there is in other youth and high school varsity sports. Kids can learn and develop at their own pace without the pressure of being rushed into a competition and win immediately. The culture and instruction style of many BJJ schools is that learning and improving in BJJ is a long term process that doesn’t need to be rushed. In youth and high school varsity sports, the nonstarters get little to know playing time in games and less coaching and development during practices. In BJJ classes, students learn together, drill together and all receive close to equal repetitions in drilling and attention from instructors. So your child is participating and improving each class instead of just watching other students get better. Also, if your child does want to compete, there is no cap on the number of children that can be entered into a BJJ tournament division. Depending on where you live, most sports are seasonal and once the season ends, so does the children’s playing and development in the sport for the rest of the year. BJJ training has no seasons, allowing children to train throughout the year which aids in their continually development in the sport. We live in an instant gratification society. In BJJ, it is a slow, long grind. Breakthroughs could come after a long period of time of drilling, experimenting, and refinement. It could come in a practice roll where a sweep, submission, or escape finally happens after many failures. Children will learn humility, patience with themselves and persistence in continually working through and solving problems. In basketball and soccer you need speed and agility. In football, you need size and strength. In most sports, you are learning a rigid pIay book with little room for creativity. In BJJ, you don’t need to have speed, agility, and athleticism in order to develop an effective style or set of moves that work well. If you are slow and unathletic, you can develop a slow, grinding, pressure game that neutralizes opponents’ speed and athleticism. 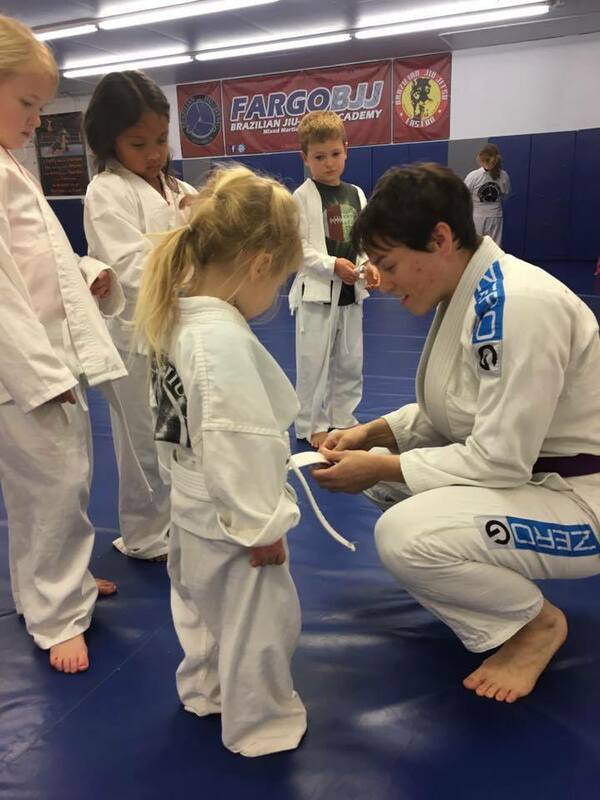 If a child is small, he or she will be matched with training partners and opponents that are a similar size and will be able to develop an identity over time. When you drop a ball, miss a shot, or make a bad throw in team sports there is the awkward walk back to the bench or dugout with teammates being mad at you. That is an uncomfortable position for unathletic children. 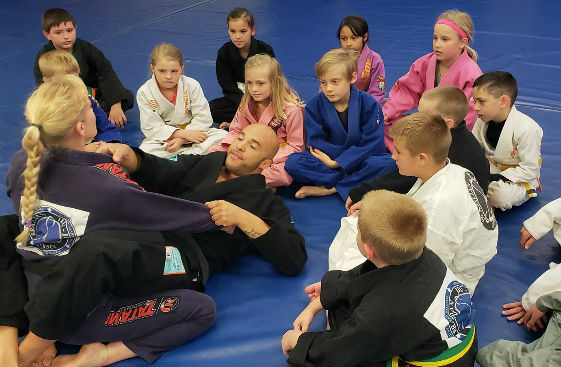 Playing in an individual sport like Jiu Jitsu removes the pressure of letting down teammates while teaching a child that they can problem solve and overcome challenges on their own. This aids in building character and self-confidence in children. The kids classes provides positive interaction with other children. Most BJJ schools have rules and reinforce a culture of respect among students. Bullying and inappropriate behavior will not be tolerated by the coaches. Children will be learning and drilling moves together. So while it is an individual sport, during classes they will have the opportunity to collaborate with other children to help each other learn and develop.